One of the best ways to learn a language, after having acquired some basics, is to immerse oneself in authentic materials, such as short stories, comics, movies or cartoons. While many cartoons on German television are dubbed versions of American series, there are actually a number of original productions. Today I’d like to share a few of these with you. In many cases you can find full episodes on YouTube. Also, I’ve added links to the DVDs on Amazon and iTunes streams where available. 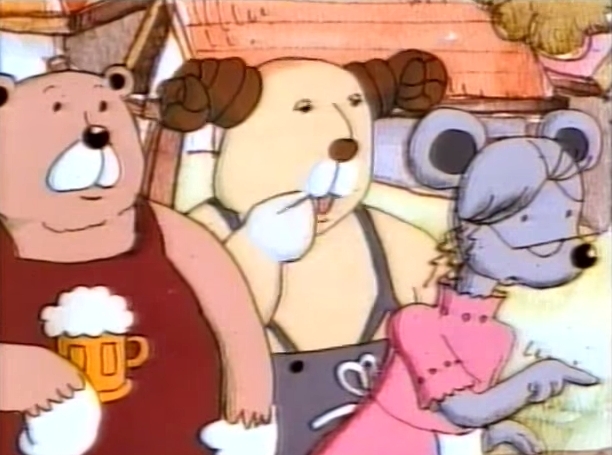 Janoschs Traumstunde is a critically acclaimed and universally beloved cartoon series based on the stories of popular German children’s author Horst Eckert (more famously known as Janosch) which ran between 1985 and 1989 on German television. 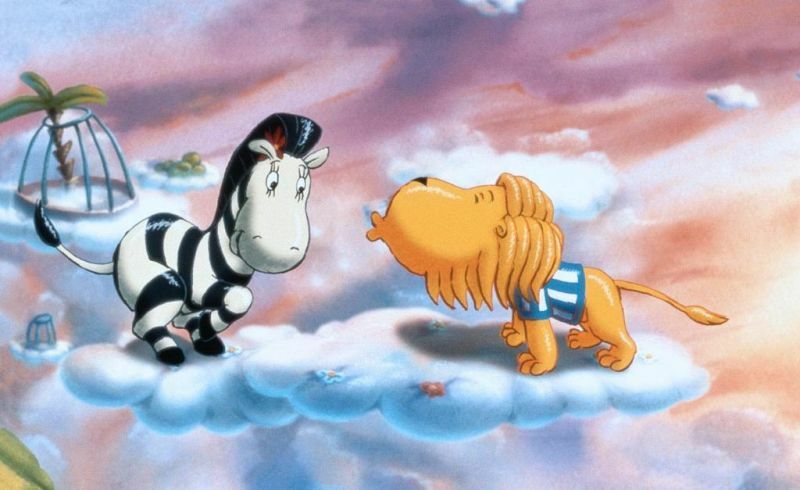 Most of the episodes tell a number of self-contained stories, featuring popular characters from the author’s children’s books, such as Tiger und Bär, The Flying Popov, Schnuddelbuddel and others. 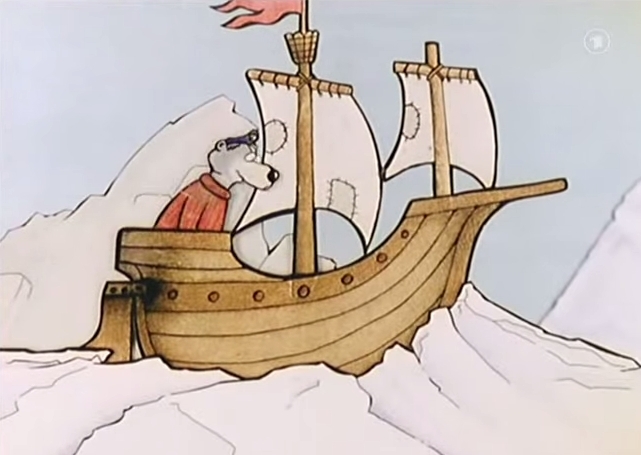 Based on the comics by Walter Moers, this cartoon series deals with the adventures of the eponymous Captain Blaubär, a blue bear spinning yarns about his journeys on the Seven Seas. 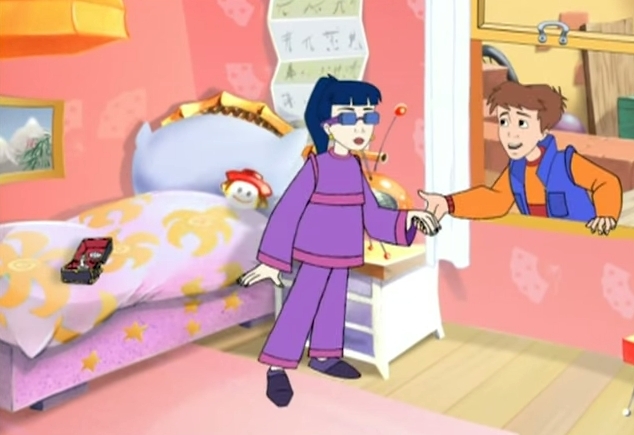 Each episode is framed by a little story where the captain interacts with his grandchildren (actors in costumes), and at its center there is an animated cartoon detailing the often hilarious tales of the old seaman. 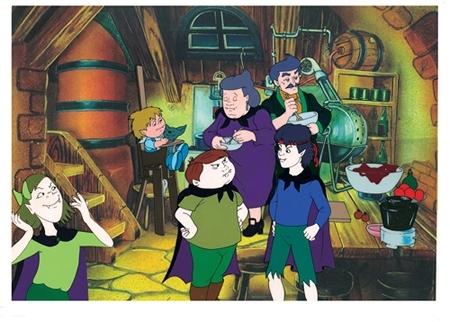 Based on the novels by Waldemar Bonsels, this cartoon series ran between 1975 and 1980 and was the first Japanese-German-Austrian co-production. It tells the story of a little honey bee called Maja, her friend Flip, the grasshopper and many other creatures. It was remade in 2013 as a 3D animation series. Originally broadcast from 1972 to 1974 this series was an international cooperation. 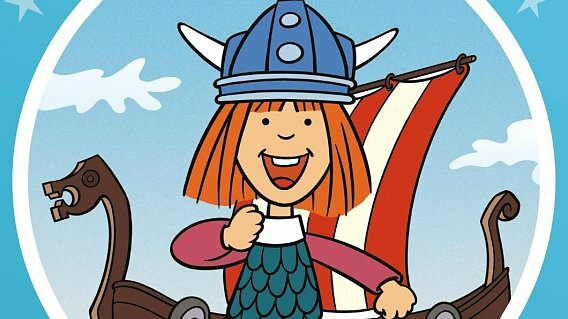 It’s based on the Swedish children’s book series “Vicke Viking” by Runer Jonsson, and just like Biene Maja, was produced by a Japanese Anime team for the German ZDF. Wickie is a young Viking boy who lives together with his parents in the little Viking village of Flake. Not being very strong and courageous, he’s not your typical Viking, but thanks to his unusual intelligence he often finds the answer to seemingly unsolvable problems in and around the village. 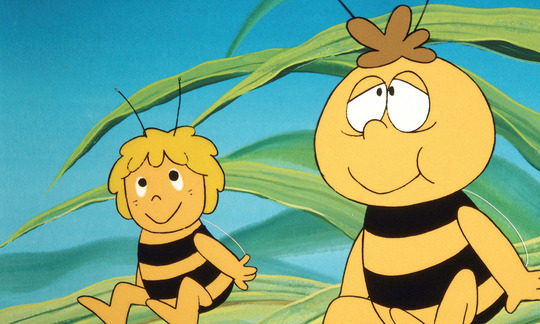 Just like Biene Maja, it was redone as a 3D animation series in 2014. Broadcast between 1991 and 1994, this cartoon series is about a new brand of vampires who, although being direct descendents of Count Dracula, are polite, friendly and scorn the taste of blood. They are the Ketchup Vampires and prefer tomato juice, but since their modern way of vampirism is frowned upon, they are constantly challenged by their more conventional counterparts. 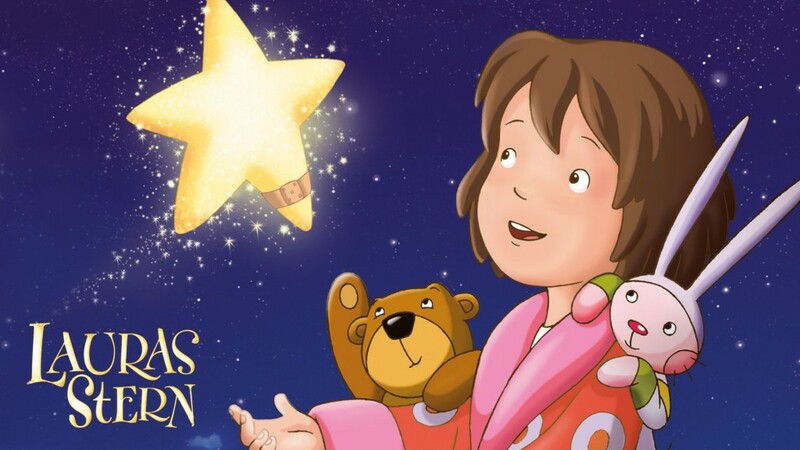 Based on a book series by Klaus Baumgart, Lauras Stern tells the story of a seven-year old girl who finds a wounded star. She takes care of it and together they experience many adventures. There are 52 episodes in total, with a length of 10 minutes each. This cartoon series is based on the comic book series by Manfred Schmidt. The protagonist Nick Knatterton, a private eye, solves fresh new cases in 15 episodes (length between 10 and 25 minutes). 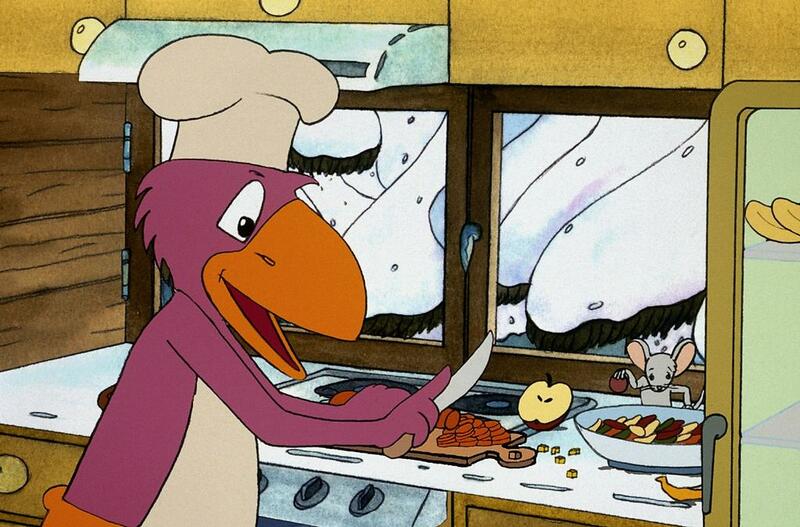 While the animated characters themselves don’t say one word, the action is narrated by a voice-over. 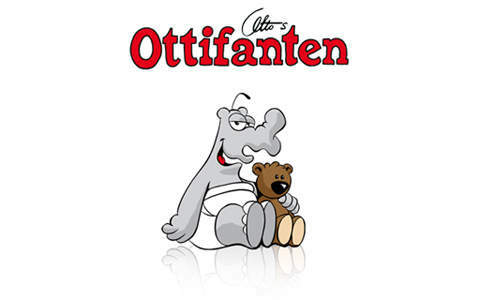 The “Ottifant” is an elephant-like creature invented by German comedian Otto Waalkes. The tv series, comprising 13 episodes, tells the story of a family of Ottifanten, from Baby Bruno to Opa Bommel. 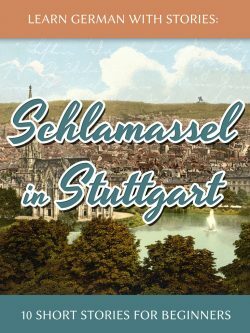 Based on the book by Helme Heine, this cartoon series tells the story of a little village called Sauerkraut, where the mayor is a pig, the school is run by a 200-year-old turtle and spiritual matters are taken care of by a crocodile which speaks in Berlin dialect. 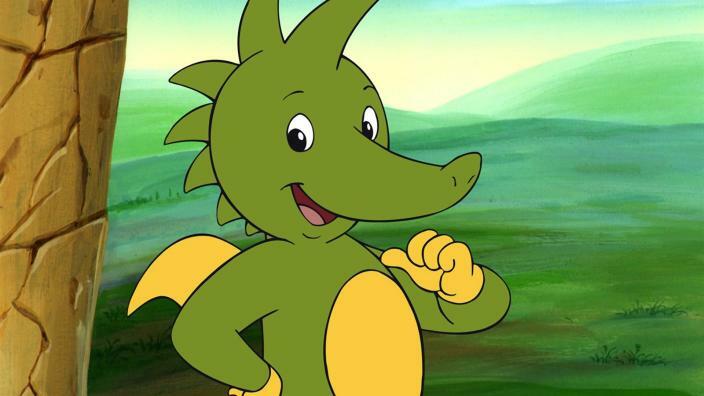 Tabaluga is a small green dragon, a character invented by German rock singer Peter Maffay, children’s song author Rolf Zuckowski and Maffay’s lyricist Gregor Rottschalk. Originally created as part of a concept album “rock fairytale”, this cartoon series tells the story of the little dragon and his home country “Grünland”. This cartoon series is loosely based on the novel by James Krüss, in which a young boy makes a dangerous deal with a baron: he sells his smile and in return receives the ability to win every bet. First broadcast in 1979, Timm Thaler ran for 13 episodes. It was also turned into a feature-length movie. Tobias Totz works at the zoo. His best friend is a lion, whose biggest dream is to fall in love — only there is no lioness in the zoo. But since Tobias is a very special zoo-keeper he flies to Africa to look for a spouse for his best friend, where lots of adventures ensue. 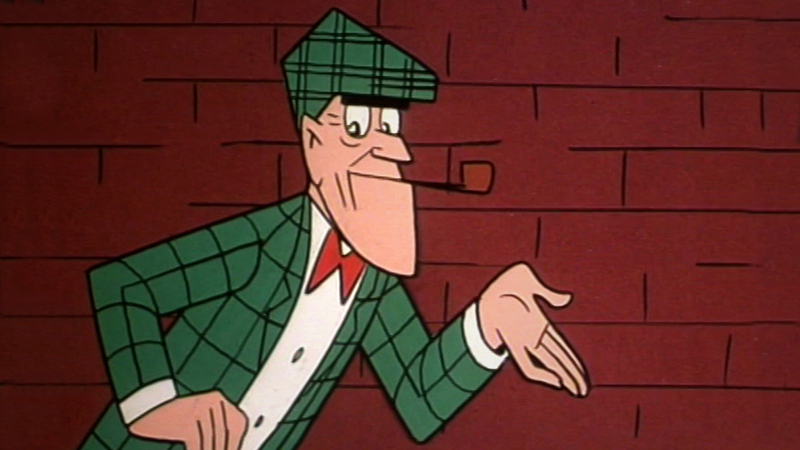 Running from 1996 to 1997 for 13 episodes, this cartoon was based on the books by Frederic Vester. The protagonist, a curious creature which looks like a cross between a hamster and a bird, has the magical ability to change size. This cartoon takes the viewer on a journey through the wonders of nature and frequently addresses environmental issues.